Eliminate the time-consuming and labor-intensive task of removing metal staples. 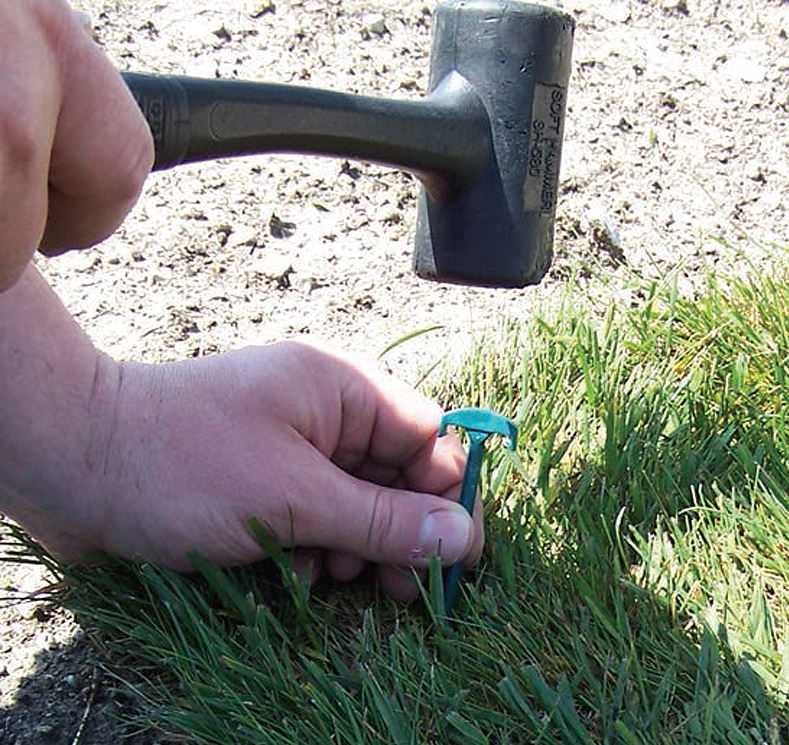 Ecoturf Biodegradable Sod Staples will completely degrade in the soil in eight to 24 months. These Staples are used to hold Sod, Ground Cloth, Material Fabrics, Plastic Vapor Barriers, and wide range of other products in place. 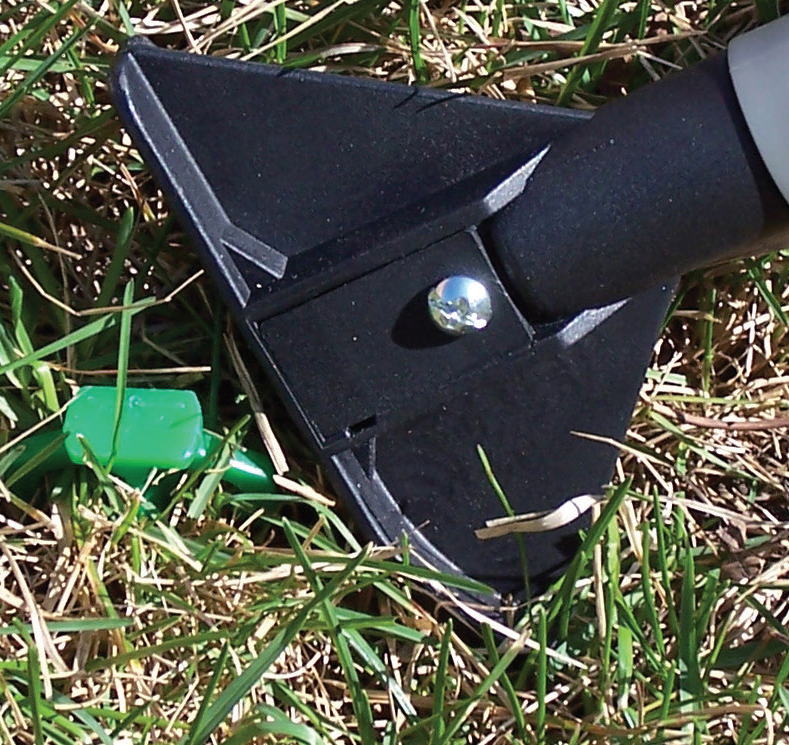 Within 7-14 days of use, the lawn root system will grow over the Clip, increasing the strength and making the sod staple virtually invisible. Using innovative technology, our recycled plastic stakes, manufactured entirely in the USA, contain an additive that changes the chemical structure of the plastic. This change causes the plastic to lose structure and break down. Once broken down, the stakes will biodegrade into all natural by-products. Safe for the environment even in sensitive areas and outperforming all other staking options. Install is Easy as 1, 2, 3! Contractor grade staker designed to save time and your back.